Children will have the most fun while learning about numbers! Give your 5-8 year old a fun way to learn early math skills with JumpStart Learning Games: Numbers. They will learn about addition, subtraction, sequences, counting and more, while they play exciting arcade-style games. Frankie has eaten so many biscuits, he's fallen into a deep, satiated slumber. But where Frankie's feast ends, your adventure beings! 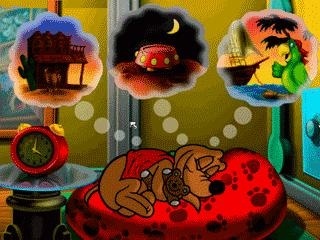 Join Frankie in three wild dreams as the fun-loving canine becomes an astronaut, a pirate, and cowboy and searches for biscuits in places only his imagination can take him - and you! Use your number skills to catch asteroids, unearth treasure chests, and prove you're the fastest bone slinger in the West. If you can refill the Biscuit Vault, you'll make Frankie a happy dog! Travel into deep space and help Frankie grab the correct number of asteroids to complete addition and subtraction equations. Sail to a tropical island and find Bonebeard's long-last treasure by filling in the missing pieces to the number sequence. 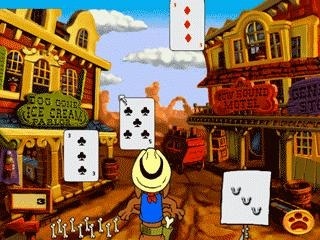 Amble into the western town and show Sheriff Kitty who's boss by picking out the numbers that match the target quantity. 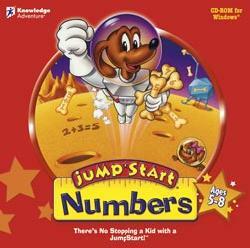 Want To Tell A Friend About Jump Start Learning Games Numbers!! Learn early math skills such as addition, subtraction, sequences, counting and more with Jump Start Numbers! 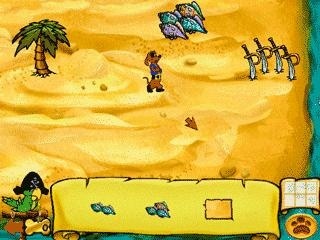 * Learn about numbers and grouping as you help Frankie find Bonebeard's Treasure. 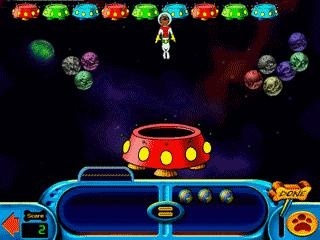 * Help Frankie collect the correct number of asteroids to complete the math problem in Snack-troids. * Join Frankie in some good old-fashioned bone-slinging in Bone-anza!